The competition regulator says Ladbrokes (LSE: LAD.L - news) and Gala Coral may need to sell up to 400 betting shops if their merger is to be cleared. The Competition and Markets Authority (CMA) said the provisional findings of its probe into the proposed £2.3bn tie-up had identified "concerns in a large number of local areas". The bookmakers have 4,004 stores between them across the UK and a merger would create the largest high street chain. The CMA said its working group "identified 659 local areas where it provisionally found that the merger may be expected to result in a substantial loss of competition, which could lead to a worsening of the offer made to customers at both a local and national level". It (Other OTC: ITGL - news) added that its only concerns on the deal were over physical stores. Martin Cave, who is chairing the CMA's inquiry, said: "We’ve provisionally found that the merger between two of the largest bookmakers in the country may be expected to reduce competition and choice for customers in a large number of local areas. "Although online betting has grown substantially in recent years, the evidence we’ve seen confirms that a large number of customers still choose to bet in shops - and many would continue to do so after the merger. "For these customers, competition comes from the choice of shops in their local area and it’s they who could lose out from any reduction of competition and choice. "Discounts and offers of free bets to individual customers are ways betting shops respond to local competition which could be threatened by the merger. "We’re also concerned that such a widespread potential reduction in competition at the local level could worsen those elements that are set nationally such as odds and betting limits." The CMA said it was now seeking responses to its provisional findings before coming to a final decision by 19 August - a date it extended by eight weeks because of the scale of the proposed remedies. The regulator added that stores sales would need to be substantially completed before the merger could go ahead. 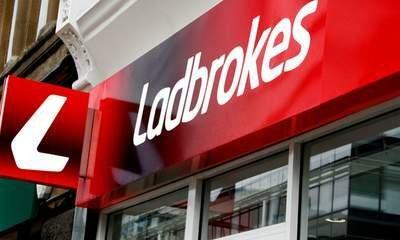 Ladbrokes said: "We believe this represents a significant step in the merger process. "Our focus now will continue to be to work with the CMA to progress the merger to focus on finding a suitable buyer or buyers in order to deliver the necessary remedies". The company's share price surged ahead when the markets opened for business on Friday - up 12% in early trading of the loss-making company's stock. It took Ladbrokes shares to their highest level in two months. Some of the fizz came out of the rally later but the bookmaker still closed nearly 7% ahead on the day. Gala Coral had planned to list on the stock market before agreeing to the merger with its rival.